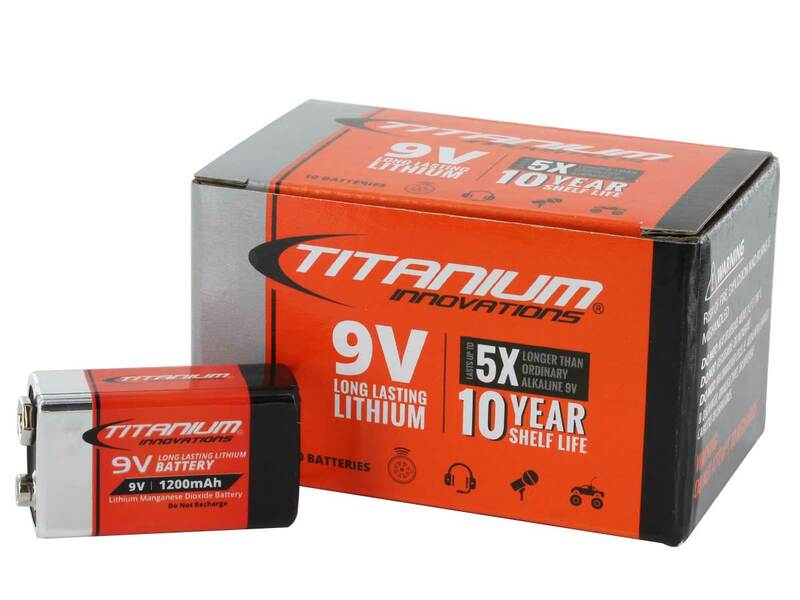 Titanium Innovations 9-Volt lithium batteries are long lasting, powerful energy sources for your everyday electronics. Reliable lithium chemistry provides extra-long run times as well as a 10-year shelf life making them great to stock in case of emergency. 9-volt batteries are a favorite power source for smoke detectors, audio equipment and specialty medical devices.